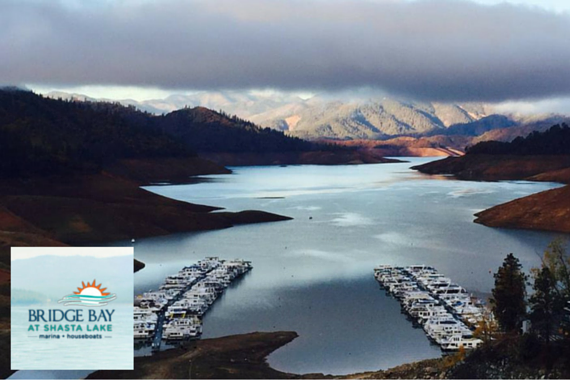 Bridge Bay Resort & Marina offers houseboat vacations on Lake Shasta. "The lake is filling up fast, our moorage slips are filling up fast.....Visit us soon to reserve your spot." "Your home away from home awaits." "Being at the the lake with your best friend - What could be better?" "Who is ready to relax in the Summer Sun?" Yes, I'd like to receive news from Bridge Bay At Shasta Lake. Sign up for the Bridge Bay At Shasta Lake Newsletter!